The annual feast of St. Nicholas Eve is celebrated on December 5 (Sinterklaasavond) in the Netherlands and on December 6 in Belgium. The Dutch Sinterklaas travels by steamboat instead of sleigh and from Spain. Instead of elves, he has characters played by white people in blackface known as Black Pete. Black Pete: Time to give Santa’s ‘racist’ little helpers the boot? According to Dutch tradition, Sinterklaas, or Saint Nicholas, arrives in the Netherlands from Spain each November for a visit that culminates in him delivering sweets and presents to well-behaved children on the night of 5 December. 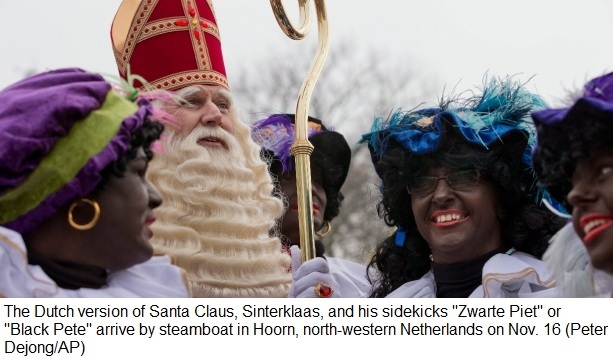 This year, Sinterklaas has sparked a debate so fierce that even the UN has become involved. 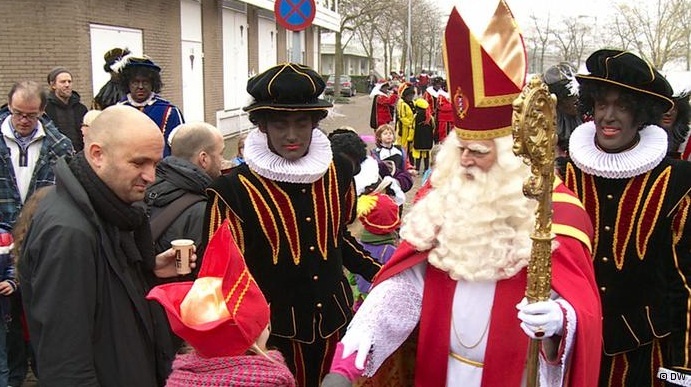 At the root of the controversy are Sinterklaas’s helpers, called the Zwarte Pieten, or Black Petes. 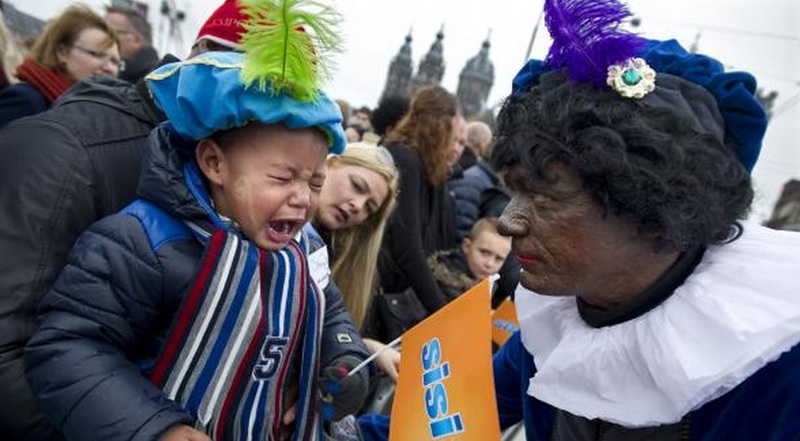 The Zwarte Piet debate has flared up annually for the past few years, but this year, the UN High Commission on Human Rights wrote to the Dutch government suggesting that the Sinterklaas celebrations could be racist. “Black Faced” European folk characters seen annually at Christmas holiday season- Is this actually a history lesson?